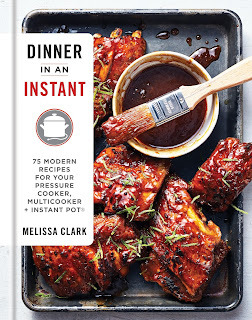 New York Times columnist Melissa Clark developed her love for the electric pressure cooker honestly. After having given the Instant Pot a try so she could "see what all the fuss was about," Clark was surprised to find herself turning to it again and again, even after her article for the Times had already been published. The purpose of her Dinner in an Instant (Clarkson Potter) is to highlight the kinds of dishes the electric pressure cooker excels at. She wasn't interested in tricking the machine into overcoming its weaknesses (roasted whole chicken); instead she wanted to explore what the Instant Pot does best: transforming long, slow weekend treats into quick mid-week standards. One thing to note right off the bat: The recipes will work in any brand of electric pressure cooker. Don't be thrown off if you own a Breville instead of an Instant Pot. If you're relatively new to the pressure cooker (or are thinking of getting or giving one for Christmas this year), you'll be happy to know that Clark walks you through the machine's cycles and parts and suggests some accessories you'll want to have on hand. She also provides a number of great tips and tricks for getting the most out of your cooker. In addition, Clark includes recipes for all kinds of eaters: vegans and vegetarians as well as those who follow a paleo or gluten-free diet. The recipes themselves are what you'd expect from a veteran cookbook author like Melissa Clark. The directions are clearly written and easy to follow, the flavors are varied (Thai, Italian, Mexican, African), and pretty much every recipe comes with serving tips. The collection includes a solid combination of familiar dinners (chicken and dumplings) and more exotic (Green Persian Rice with Tahdig). Best of all, however, the recipes are adaptable, teaching techniques as much as specific dishes. This means that soon, instead of following one of Clark's recipes for steamed pudding, you'll be adapting one of your own favorites for the pressure cooker. And that brings me to the heart of this book. 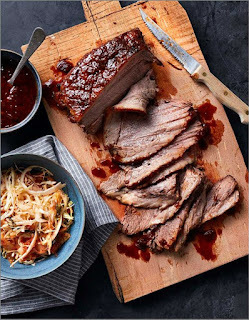 Dinner in an Instant is geared to a specific audience: cooks who are still new to pressure cooking but who are now ready to expand their horizons. The book is not meant to be a lifetime kitchen companion (like Lorna Sass's books); instead Melissa Clark has provided a bridge from the basic to the wider world of possibilities. 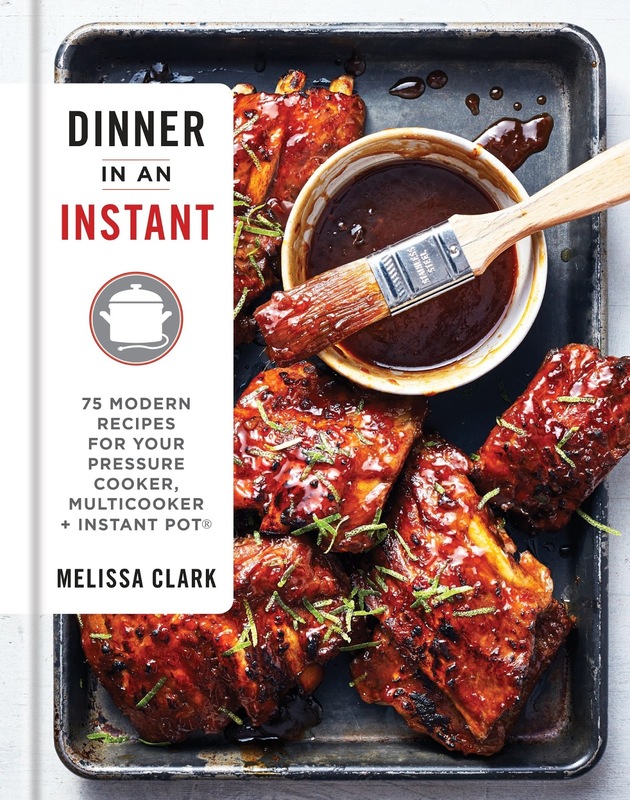 I am happy to have bought my copy of Dinner in an Instant, but I think many of you would be satisfied to look for the book at your library, cook from it for a few weeks, and then follow Melissa Clark's pressure cooker recipes at the New York Times. I, however, am happy to have her recipes for steel-cuts oats, polenta, ricotta, and creme brulee sitting safely on my bookshelf. 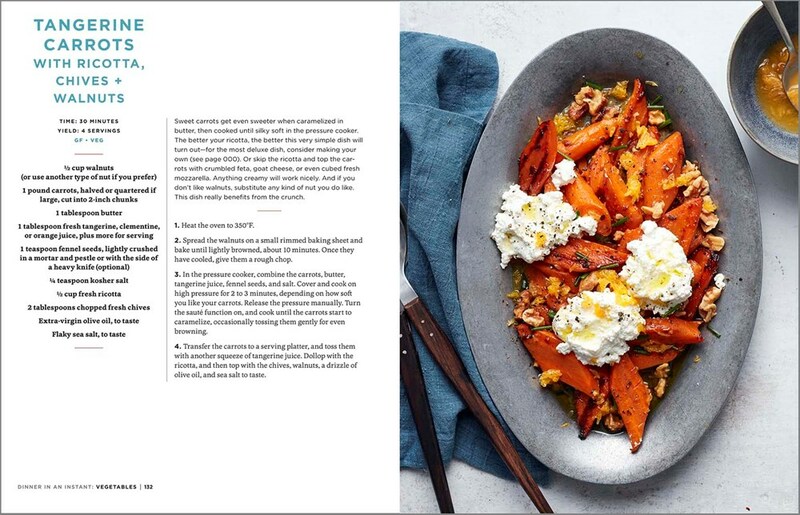 Here's a recipe for citrus-infused carrots, which would make an awesome addition to any holiday table. (This is a scan from the promotional material, thus the missing page number for pressure cooker ricotta.) For a better view, click the image to enlarge it. When the first slow-cooker/crockpots came out, I had the exact experience you described. After trying recipes from a purpose-written cookbook, I adapted my own favorites. Melissa Clark would definitely be a good source of this kind of teaching on the new version of that technology. I'm still unclear how the new and very popular appliances compare to the earlier version. Cheesecake? I didn’t know it could be so versatile. I know you love your pressure cooker but I am still scared of them. Maybe the old horror stories of youth ( from worrisome aunts) about explosions still are lodged in my head. Yet I want one. Good cookbook, glad you highlighted it. Thanks for this! I'll look for it at the library. I've been thinking about one since I read a blogger who took it on road trips to make dinner in the hotel. My mom used a pressure cooker when I was growing up but I've never owned one. I'm tempted to get one these days but wonder if I'd really use it. I should check out a copy of this cookbook to see what they're capable of. I started using as instant pot this year. I’m constantly looking for recipes. Thanks! I used my pressure cooker more often years back, so would probably find some good ideas in this book. Having finally gotten a slow cooker, I'm getting accustomed to that appliance at the moment. I was just discussing the virtues and recipes you can do in a pressure cooker today with a friend. It is really amazing. I love my slow cooker but haven’t gotten into the instant pot yet. I just saw Melissa Clark on Sunday Morning on CBS. I do like my Instapot, so I'm definitely interested in her book. I got myself on the hold list at the library as soon as I heard about this book. I'm number 11 right now. I love using the library to preview cookbooks to decide whether or not to purchase.